Honda Passport Coming Soon to Holmes Honda Shreveport! After a 17 year hiatus, the Honda Passport is making its much awaited comeback! The 2019 Honda Passport is definitely not what it used to be in the past. This time around the Passport is a fully built Honda brand model in its brand new Alabama facility where they already build the Honda Pilot and Honda Ridgeline! For its revival the Honda Passport will sit on the same global light truck platform as the Honda Pilot and Honda Ridgeline, which makes total since as to why it is being built in the same facility as the Pilot and Ridgeline, as mentioned before. The Honda Passport will be slated between the Honda CR-V and the Honda Pilot. The Honda Passport will sit 5 people in 2 rows. The Passport will be the ultimate off-roading vehicle ready for any adventure you may have in store. The Passport will have the same 11-inch wheelbase and will be 6.5 inches shorter than the current 2019 Honda Pilot. Honda shortened the end of the Passport and adapted the rear to portray a more aggressive look. The new off-roading Honda Passport will also have more ground clearance and comes equipped with 20inch wheels and tires on all the available trims. The Trims include Sport, EX-L, Touring, and finally Elite. One of the most unique things that stand out about the Honda Passport besides its incredible off roading capabilities is its aggressive exterior. Each trim on the Passport comes standard with blacked out headlights, blacked out full front/grille, wide tailgate, and a flared wheel arches that are also black. The Sport, EX-L, and Touring come standard with front wheel drive but the top of the line trim, Elite, comes standard with AWD. You can add AWD to the other available trims as an upgrade. Let’s talk off-roading and power. When searching for an off roading vehicle, being able to really go is crucial. 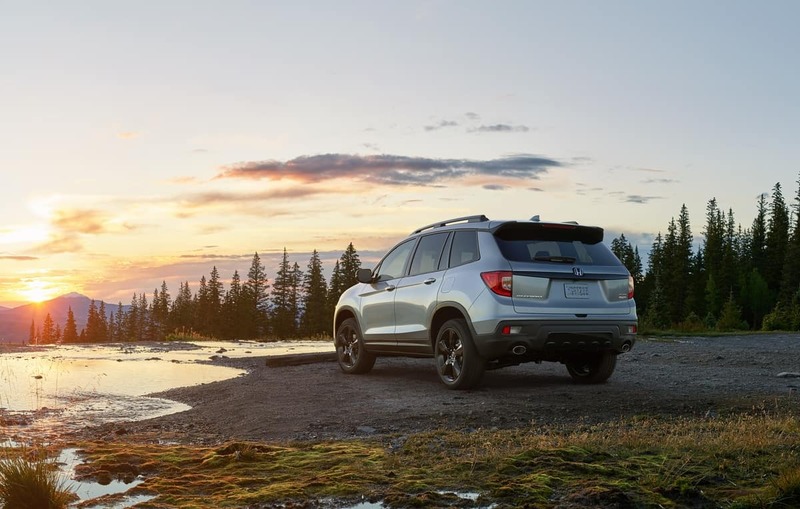 The 2019 Honda Passport comes with Honda’s beautifully built 3.5 liter V6 engine with 280 horsepower and 262 pound feet of torque. The Passport will also come with a nine-speed transmission. What else can this beast do? The Passport can tow up to 5,000 pounds with AWD while the none AWD can tow up to 3,500 pounds! This aggressive unibody SUV has the perfect amount of ground clearance to where each departure angle is just right when going through patchy and rocky areas. The Passport offers 4 different modes for different driving conditions; Normal, Snow, Mud, and Sand. The Passport to your adventure. When off-roading being comfortable is a must. 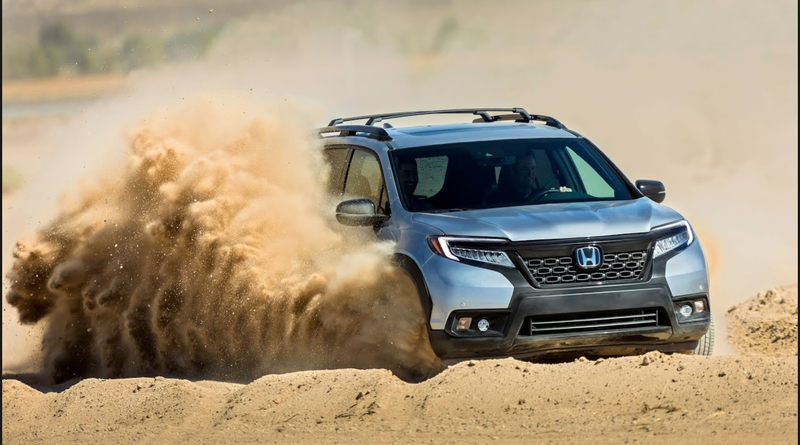 That is why Honda made sure that even though you are buying a vehicle with amazing off-roading capabilities you do not miss out on the luxury. The Honda Passport shares the same interior design when it comes to the dash. You get the same steering wheel, cluster, and infotainment center. Every Passport comes with a 7inch digital gauge cluster that is completely customizable. 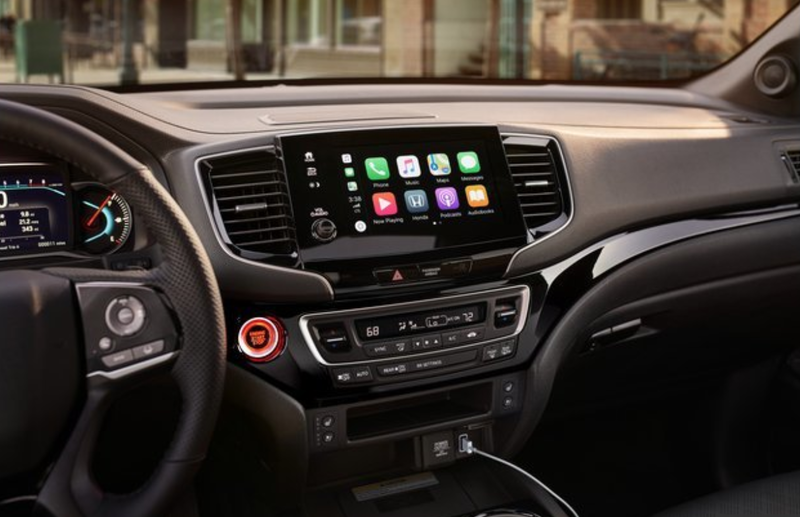 The Sport comes with a 5inch infotainment center where as the EX-L and up comes with a 8inch touch-screen infotainment center with Apple Carplay and Android Auto capabilities. You also get Honda Sensing suite of advanced driver assistance technologies, Honda Sensing which comes standard on every trim. What is different from the Pilot to the Passport is that Honda reduced the width of the windshield pilars for more visibility for all of your activities. 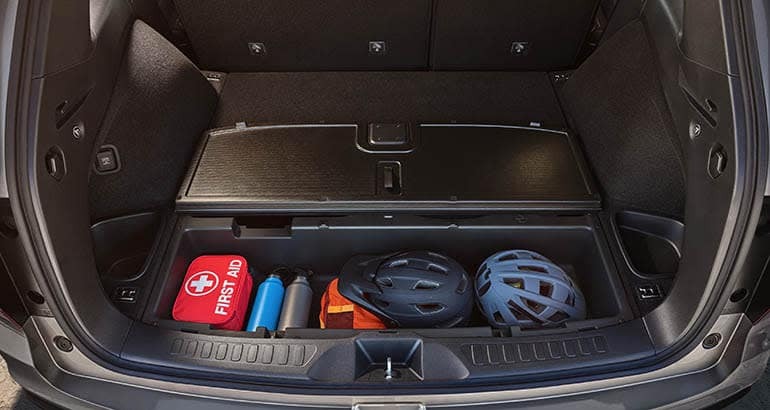 Honda has announced that the Passport offers the best-in-class interior space with tons of room for all of your cargo for the day as well as multiple built in storages throughout the vehicle. Behind the second row, the Passport will give you 41.2 cubic feet of volume but when the second row seats are folded down the Passport will give you a whopping 77.9 cubic feet. Honda entails that the Passport will have a built in underfloor storage compartment, which is the largest in its class. The Passport also offers you a reversible cargo floor that will have plastic on one side and carpet on the other side. The built in storages can easily be removable to make it much easier to clean after your day of adventure! Honda thinks of it all! 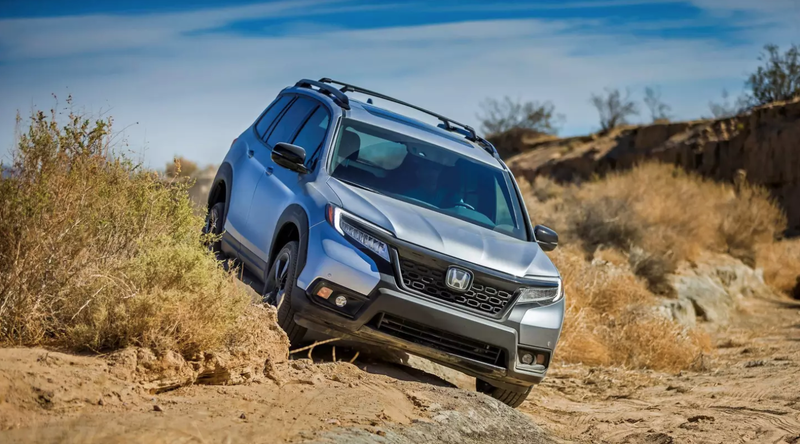 The 2019 Honda Passport is truly the Passport to your adventure. The Passport is set to be released to the public in February. Holmes Honda currently has 6 on the way! Make sure to reserve yours now!